Minigames, minigames, and more minigames. Wii Party U follows Nintendo Land as Nintendo’s second collection of Mii-based minigames for its fledgling HD console, Wii U. Boasting approximately 80 minigames and an incredibly varied array of content, Wii Party U tries to trade style for substance, but falls short. While a handful of the minigames prove replayable and fun, too much of its content offers some combination of overly simplistic objectives, poor controls, or variations on games that players have simply seen and played many times before. 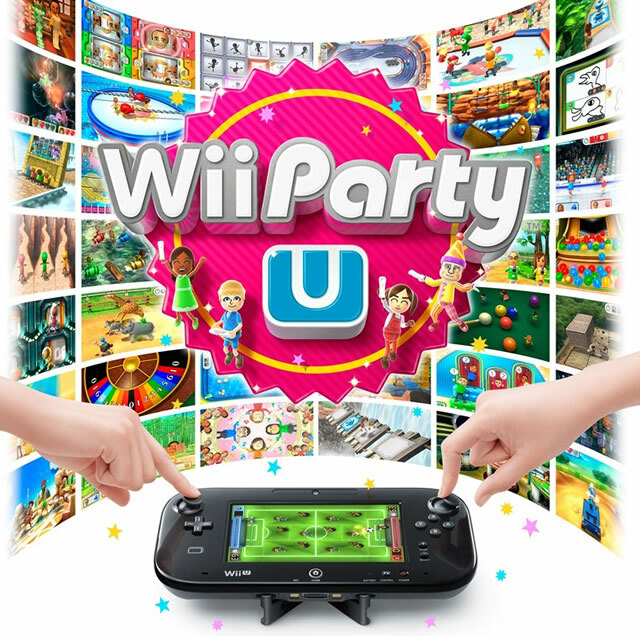 Wii Party U features three main modes: TV Party, House Party, and Gamepad Party. In addition to these modes, the minigames can be accessed individually or in tournament style play. The game’s primary mode is TV Party, which provides players with overarching boardgame-style objectives, such as rolling dice to advance down a large highway, or collecting balls to earn points. Within these games, players battle it out in Wii Party U’s minigames to earn more dice to roll (Highway Rollers), balls to collect (The Balldozer), etc, which in turn helps advance players through the main game. While the TV Party games give players long-term objectives with which to enjoy all of the minigames, the board games ultimately prove unnecessary, as the minigames are the real attraction here, and they can be accessed in other challenges outside of TV Party. In addition, this mode is clearly designed for younger and/or novice players who require handicaps to help them catch up to the more seasoned players. Experienced gamers will probably want to skip to House Party. House Party features some of the most ingenious games Wii Party U has to offer, the best of which are Water Runners and Button Smashers. In Water Runners, players set the gamepad far away from the TV screen, which transforms into a sparkling river during gameplay. Using the Wii Remotes, which substitute as large ladles, players must scoop the water from the river, then carefully carry the Wii Remotes back across the room to the TV screen, turning them over to drop their water into a large pitcher on the screen. Whoever repeats the process enough times to fill their pitcher wins. Water Runners quickly devolves into a hilarious physical contest, with competitors blocking their opponents’ path back to the TV, or purposely bumping into another player’s Wiimote to spill all of their water. Button Smashers finds 2 to 4 players in a collaborative game of controller Twister, as they are forced to contort their fingers every which way in order to hold down or release whichever buttons commanded by the game. Both Water Runners and Button Smashers use the Wii U’s gamepad in unexpected, exciting ways that could be a hint at it might be employed in future Nintendo titles. In addition to the more elaborate fare that can be found in the House Party mode, some of Wii Party U’s shorter minigames also stand out among the fun. Gourmet Cooking is a humorous minigame in which players try to remember all of the ingredients in a soup, and River Rollin’ is a raucous one that finds players navigating their way down a river on top of a barrel. Some of the games, like Safari Hustle, even look impressive in HD. The Gamepad Party mode, in which the TV screen is ditched for gamepad-exclusive play, is brilliantly designed, but suffers from some of the same problems as TV party. While there are a handful of diamonds in the rough, a large portion of Wii Party U’s games fail to offer anything beyond what can already be found in a better, more intricate format in other titles. The sports games like Snow Shredders (skiing) and Alley Hoops (basketball), are rudimentary, poorly designed, and frankly, boring. A couple of games that feature arena-style play, like Balloon Boppers, fare a bit better in the fun category, but are fundamentally flawed in that any challenge they present is arrived at through unresponsive and shoddy controls. Even some of the ones that are well-made, like the above mentioned Safari Hustle, a bare-bones racer starring different animals, or mix and match titles like Symmetrical Suits and Heart Targets, are too basic for players to want to return to them often. So, while Wii Party U does offer tons of content and some unique experiences with the gamepad, the sum total of all its games adds up to not much more than a nice diversion, when Nintendo Land has already proved that party games on Wii U can be so much more than that. 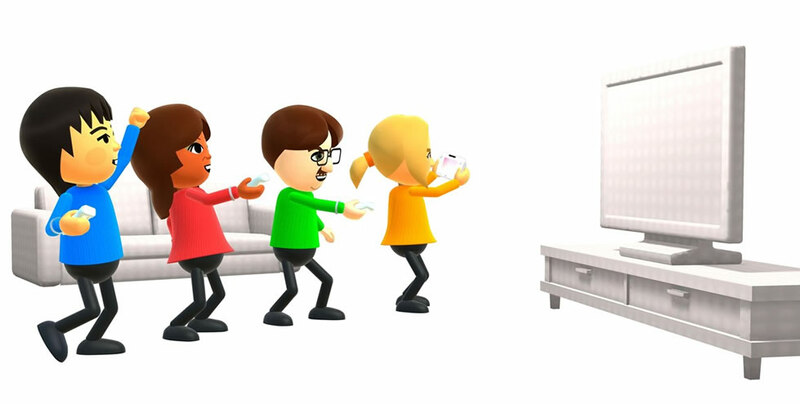 Even if your party-goers are casual gamers who have never held a Wii Remote in their hands, after one or two hours with Wii Party U, they will likely ask to trade it out for another round of Nintendo Land. Like Mario Party wouldn’t get repetitive? Luigi obssessed homo’s got a point there. Great game! Definitely a great example of that “comfortable play experience with people in the same room”. I do agree that some of the mini-games are lacking though. Other than that, I’d say it’s about equal to Nintendoland in regard to overall experience. That’s ’cause the radiation is taking effect in their way of thinking. If the “bias” you’re talking about is that I like Nintendo games, then yeah, I’m guilty as charged. Other than that, I’m not sure where the accusations of bias are coming from when we review things on this site. I got the game, I played it, I reviewed it. End of story. I don’t think they gave it a bad review to prove anything. They reviewed it in their own image. Every review is different. Some will like a game while some won’t. I’m sure when they review Super Mario 3D World it will get a good score. Don’t worry about reviews. Pick up a game for yourself based on what you like, not what someone else likes or dislikes. A good example would be me buying Sonic Lost World despite it getting tons of bad reviews. I said screw them, I’ll try the game out myself. You know what, it isn’t the best Sonic game, it has it’s flaws, but I still liked it. I’m glad I got to play the game instead of writing it off as the trash some reviewers labeled it as. Your wrong. Sonic is trash. You should have bought Deus Ex. Don’t cry if we lose all support from square enix. Supporting sega by buying the Sonic franchise is very idiotic. The series been bombing since the dreamcast days. You expect me to take your comment seriously when your name is “Nintendo Troll?” I support Sonic, because I love Sonic. I don’t give a crap about some Deuce Ex I happen to find Lost World to be a fun game, thank you very much. I am not interested in a cyberpunk-themed action-role playing video game. I want nice, colorful platformers with mascots for main characters. It’s what I like. I don’t just support things for no reason. I have to want it. My name maybe Nintendo troll but I like Nintendo more than sony and microsoft. I just being honest here. Choosing a piece of crap likw sonic over Square enix Wii U game is incomprehensible to me. Good for what it is, phone quality trash. Still much better than most of the Xbox 720p games. LOL, OP has no friends to play this with. he probably has more friends than you with that attitude…. ( Many of the games were done before ) like say, FIFA, COD, FF, St fighter, Mario, Uc, GOW, BF, MK, Md, SC, NFS, Fms, RMan.